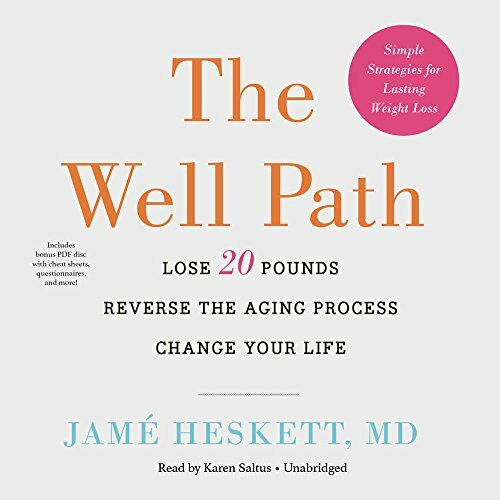 Amazon.com description: Product Description: Dr. Jame Heskett offers us a radical new approach to diet and nutrition by helping you achieve homeostasis balance in the body, with all its systems working in concert. When you're there, you're full of energy and lose weight effortlessly. The Well Path is her sixty-day plan to get you there. Dr. Heskett provides a detailed calendar of small changes and challenges to get you on your own Well Path. You begin with Well Prep, a month-long period to get you acclimated to simple lifestyle changes. The second month is devoted to Well Practice, a roadmap to homeostasis that focuses on six specific areas of change to take you from sickness to health in just sixty days.